Peta (UK) Ltd worked closely with Skar Precision Mouldings Ltd in Hadleigh, Suffolk, to organise the shipping of tooling from China to UK. The tooling was professionally assessed by Skar’s technical team and some work carried out to give a more consistent finish before finally being used for a production run. Brian McLellan, Technical Sales Director, says ‘We have been working with PETA for many years and were extremely enthusiastic about helping them to move production of these parts to the UK. This is one of a number of projects that we have brought from China back to the UK this year, which in all cases has made commercial sense for our customers’. 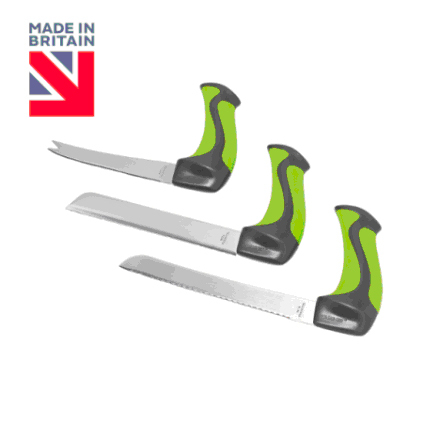 John Pearce, Chief Executive of the Made in Britain Campaign is very upbeat about this crucial sector: “we’re delighted to have the world famous Easi-Grip® inventors and manufacturers Peta (UK) Ltd working with us to help promote that their products are designed, developed and Made in Britain. Being an exemplary British exporter means Peta (UK) Ltd products are reaching buyers and consumers in many other countries who will also see the genuine design and manufacturing legacy”.